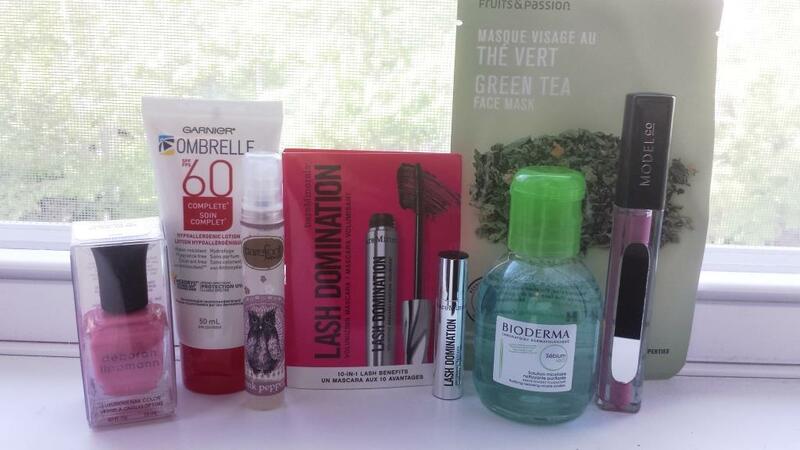 Luxe Box by Loose Button is a quarterly beauty product subscription service. I have been a subscriber for about 9 months after a 2 year break. I reuse the bags for keeping purses and shoes in to travel or to store. 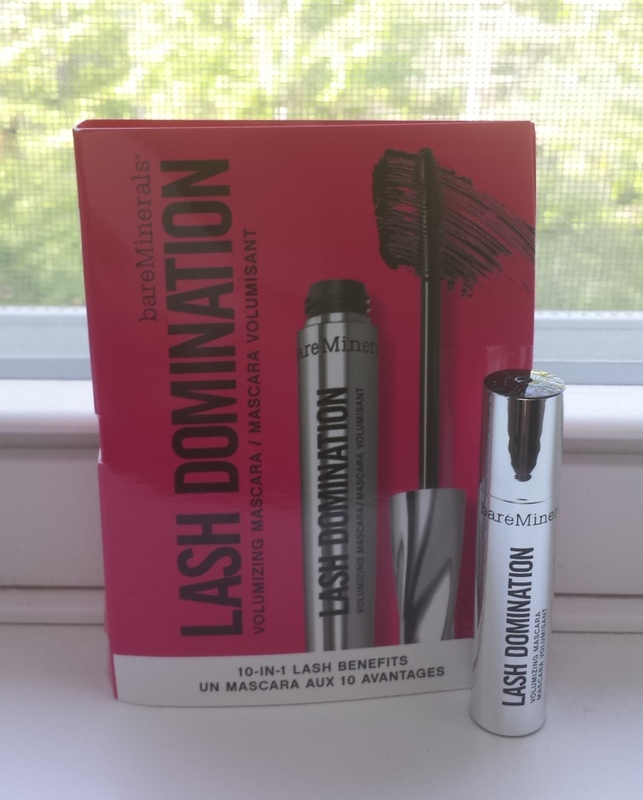 The wand has a 180 twist which is reported (well by Bare Minerals) to curve around lashes and coat ALL angles with intense black color. Powered by nourishing minerals and quinoa protein complex for larger-than-life lashes. I tried the sample this morning - the wand is pretty cool and is good on upper lashes. However it doesn't work well with my sparse, tiny lower lashes. After about 5 hours there is a little bit of raccoon eyes forming - disappointing. Full size of 0.37fl oz retails for approximately $23. 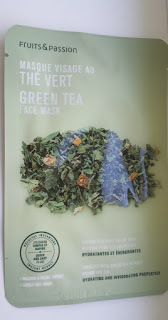 This is a new brand and product to me therefore I HAD to try it today. 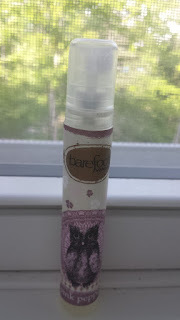 Lovely scent and I do prefer a spray mechanism when it comes to applying body oil. Eight hours later there are some dry spots on my legs but not too shabby. Full size of 140 ml/4.7 oz is $15.99. Next is deborah lippmann nail polish in colour Groove is in the Heart. 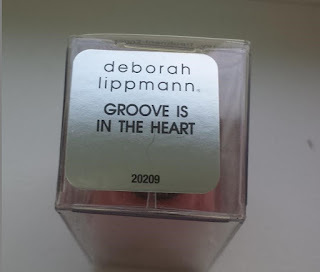 People who like nail polish say this brand is good. I am a non-polish person so I will take their word for it. A 15ml bottle costs approximately $18. 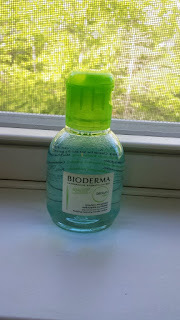 Bioderma Sebium H2O is formulated for combination, oily or problem skin. I love some of the Bioderma products (especially for makeup removal) so I am thrilled to try this one. I don't have problem skin but I do have combination skin so I think it should work fine. 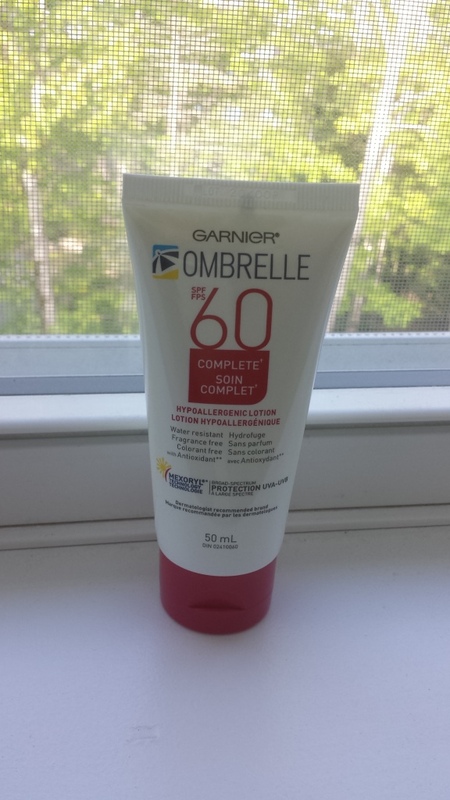 The Garnier Ombrelle SPF 60 Complete is actually my favourite sunscreen. 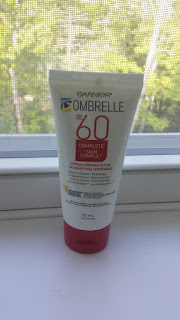 I used it as my face and body sunscreen during the Camino de Santiago last year. Not especially greasy so it was good for my face and worked really well. A full size of 120ml retails for about $14. 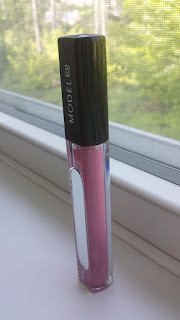 Model Co Shine Ultra Lip Gloss in Marshmallow. It has glitter and I am not much into glitter. But I do like the colour and the little mirror on the side. The full size (which this is) costs $20. The last item is a Fruits & Passion Green Tea Face Mask. I love a mask. It's supposed to be invigorating and trust me I'll need it. What do I feel about this box? 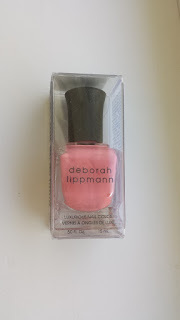 I did receive 8 trial (or larger items) - Of the 8 items I will use 6 (Nail polish and lipgloss will be given away) so I think it was all a-ok. 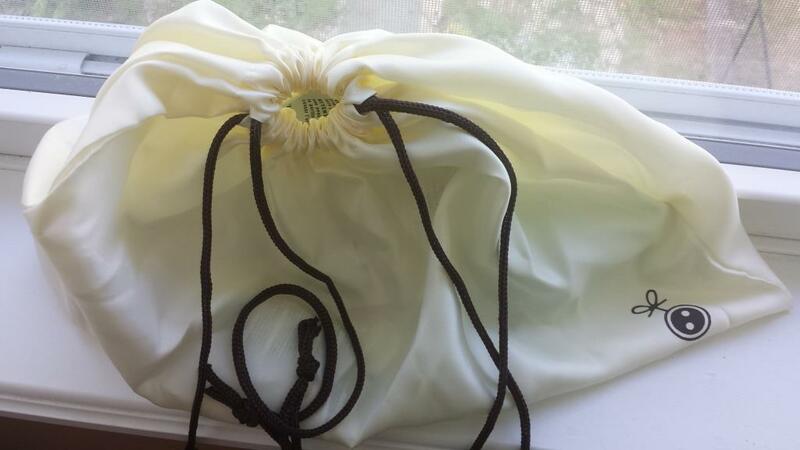 The satin bag is adorable.